A friend enjoys her beautiful, colorful pots displayed and ready for use on the stove, “like jewels.” For cooks who love their pots and pans, we can offer several ways to keep you working happy. To maximize your space, you could use pot racks above an island, or handily mounted under upper cabinets; easy to see, and ready for cooking. Glass-front cabinets allow you to see the pots, ready to start your next food preparation, but neatly stored until needed. 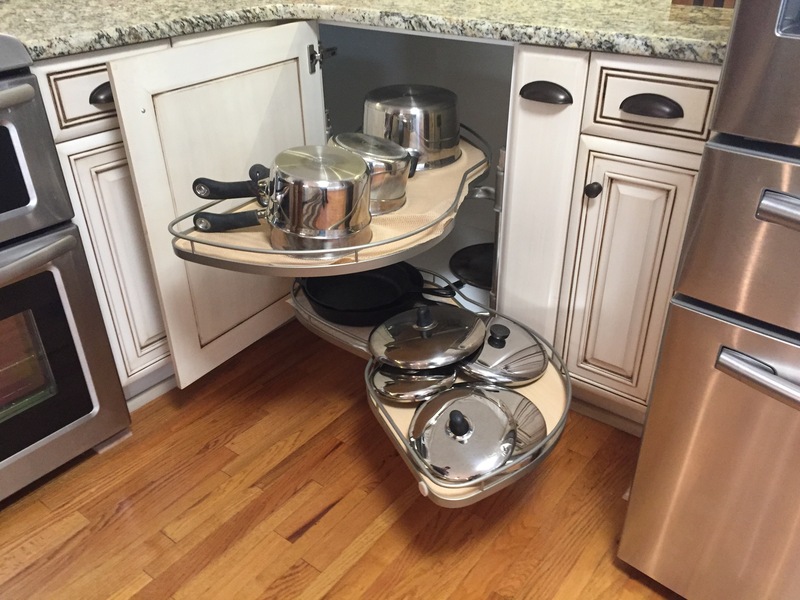 Some cooks have found that pull-out drawers, instead of cabinet doors, are a wonderful assistance in the kitchen for pots and pans. 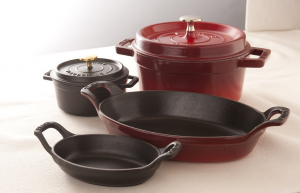 There is no bend-down, hunt-around action necessary to find the pot or pan that is wanted. You can just pull out the drawers and find what you need. 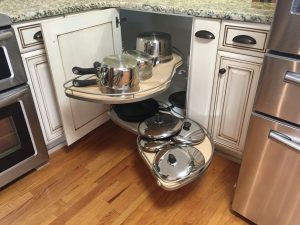 Kitchens often have spaces that are served by a corner spinning cabinet, or swing-out corner shelving in a fixed cabinet. These can be very useful. However, quality really matters for functionality. Good shelves keep turning no matter how they are filled (or overfilled by the kids). Some friends had such a cabinet that didn’t turn, limited to about a quarter of its original spin. It was frustrating for them. If faulty cabinets like those make you feel somewhat unhinged, give us a call and see how we can help make your space feel like a treasure again. Our quality products will perform their purpose with dependability.